Born in 1979 in Baabdath, Lebanon, Dany attended Sagesse High School in Al Fanar, Lebanon until his graduation in 1998, and obtained the Lebanese Baccalaureate II, Philosophy Section. Soon thereafter, he joined Notre Dame University (NDU) Zouk Mosbeh, Lebanon to acquire a Bachelor of Arts in Advertising and Marketing in 2002. Parallel to his academic life, Dany has enjoyed taking part in a wide array of social activities, like being an elected member of the Student Cabinet, a member of the Social Club, and Founder and President of the Nation State Club at Notre Dame University, a member of Beit Mery Choir, a member of the Brotherhood Business Association (B.B.A),a full-time scouts member at the Independence Scouts Society, Roumieh, a member of the International Tennis Federation (ITF), and a member and referee of the Lebanese Tennis Federation (LTF). Upon graduation, Dany travelled in August 2002 to Abu Dhabi, United Arab of Emirates, to work as an account manager at Advertising & Marketing Consultants (AMC) until November 2005. During this period, Dany became a life time member of the International Advertising Association (IAA). Later, between March and July 2008, Dany was appointed as the Regional Manager and Head of Marketing and Communications at the Gulf Finance Corporation in Abu Dhabi. 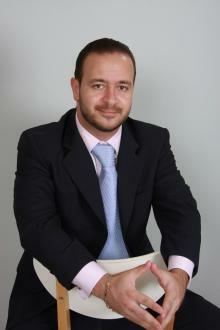 Soon afterward, between September 2008 and May 2010, he became the director general of Avant Garde Communicationsin Abu Dhabi. Dany shortly rejoined Union National Bank as the Corporate Communication Manager. The year 2010 witnessed Dany’s affiliation with several prestigious organizations; He became a board member of the Excellence Alliance organized by Abu Dhabi International Center for Organizational Excellence (ADICOE) and a partner with the Center of Executive Coaching – USA. In October 2010, Dany started his own Executive Coaching and Leadership Consultancy career in Dubai, United Arab of Emirates. Dany is specialized, in courses that are related to business management, leadership, Human Resource, Sales and Marketing, Advertising and Career development plans. Dany has been associated with organizations in countries such as Yemen, Sudan, Saudi Arabia, Kuwait, Turkey and Malaysia. Dany is currently a doctoral student at the University of Phoenix, Arizona, United States of America, preparing his dissertation on the Empowerment of Women in the United Arab of Emirates. He has recently attended several doctoral conferences in various US cities, like Phoenix, Houston, and Atlanta.